I am a long-time admirer of the Ancient Greeks and the Trojan War. 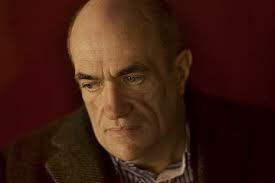 In Colm Tóibín’s novel, House of Names, he has retold the events in the aftermath of the war. The basic background of the story revolves around Agamemnon sacrificing his daughter, Iphigenia, to appease the gods. Her mother, Clytemnestra, vows vengeance when her husband returns from the war. Her son, Orestes, is kidnapped as a hostage. Achilles has a cameo role. According to the dust jacket, Tóibín has written eight novels before House, and he has garnered quite a few awards. He was also three times shortlisted for the Man Booker Prize. He lives in Dublin and New York. The story is told in segments by the main characters. Clytemnestra speaks first. “When he was alive, he said and the men around him believed that the gods followed their fates and cared about them. But I will say now that they did not, they do not. Our appeal to the gods is the same as the appeal star makes in the sky above us before it falls, it is a sound we cannot hear, a sound to which, even if we did hear it, we would be fully indifferent” (7). She continues, “It struck me for a second that this was what the gods did with us—they distracted us with mock conflicts, with the shout of life, they distracted us also with images of harmony, beauty, love, as they watched distantly, dispassionately, waiting for the moment when it ended, when exhaustion set in. They stood back as we stood back. And when it ended, they shrugged. They no longer cared” (22). She was resolved, “I would trust no one, I thought. I would trust no one. That was the most useful thing to hold to hold in my hand” (39). When young Orestes was captured and taken away, he began to worry. Tóibín writes, “Over the days that followed, although he walked between [the guards] most of the time, the guards did not threaten him or speak to him roughly. Mostly they said very little. A few times when he asked about his father and his mother, they simply did not reply. But he heard them talking at night, and he learned that great numbers of the men tied to each other and forced to march were the soldiers who had returned with his father. Others were slaves whom his father had captured” (78). When they arrived at a barn occupied by numerous other young children, Orestes meets Leander and the two begin plotting escape. Orestes and Leander manage to return home along with many slaves. These homeless people caused a problem in the city. Aegisthus began an affair with Clytemnestra. He began to assert his authority over the queen. Orestes listened to the debate about the foreigners. “Aegisthus interjected to say that some of these slaves were dangerous and they should only be released in twos and threes, having been carefully vetted. He believed…that the slaves who were roaming would have to be forcibly removed to this new territory as they would not go willingly. // Some of them even had hope [ ] they would be sent back to their country of origin, which could not happen since their land had been had been resettled by soldiers who had fought in the wars against them” (269). History has a nasty way of repeating itself. House of Names by Colm Tóibín demonstrates the revolving door of history and the repetition of evil it brings upon the world.